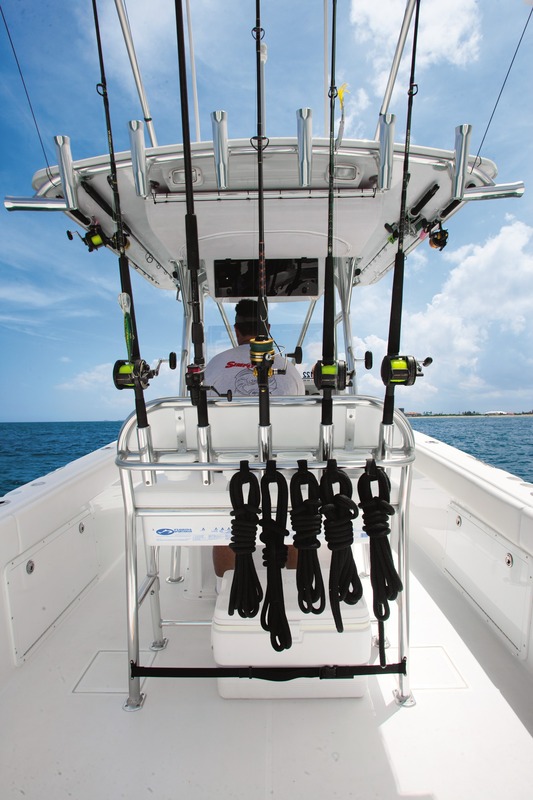 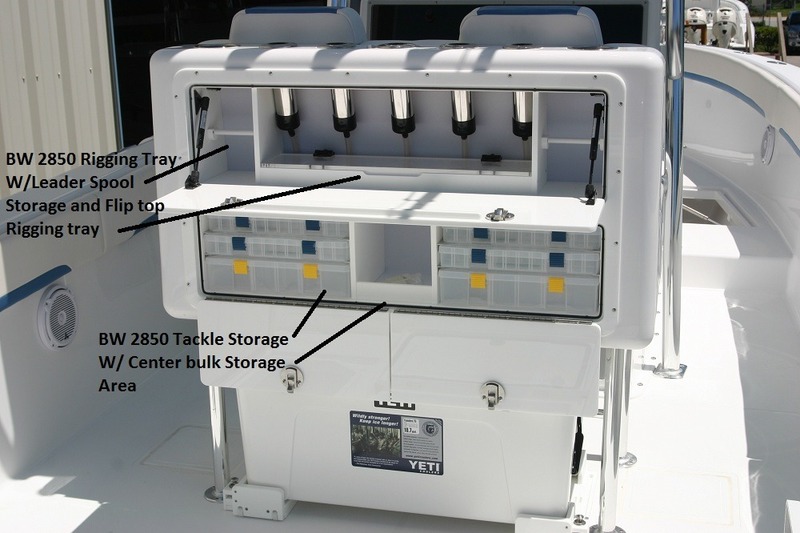 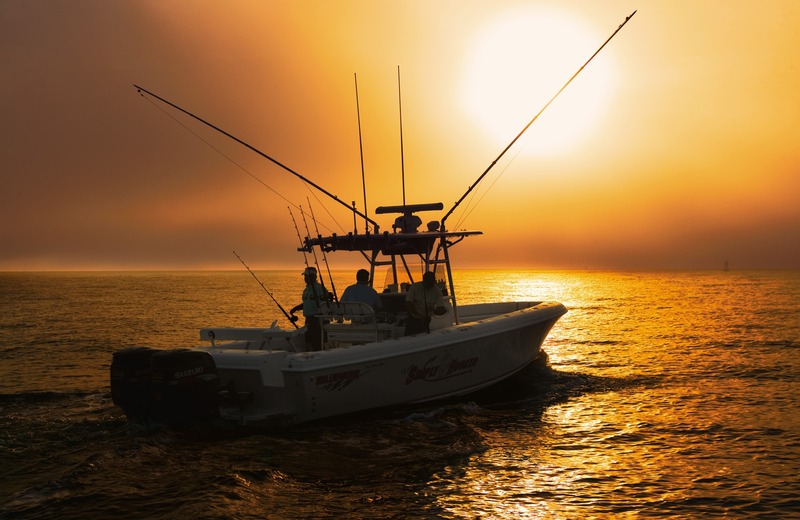 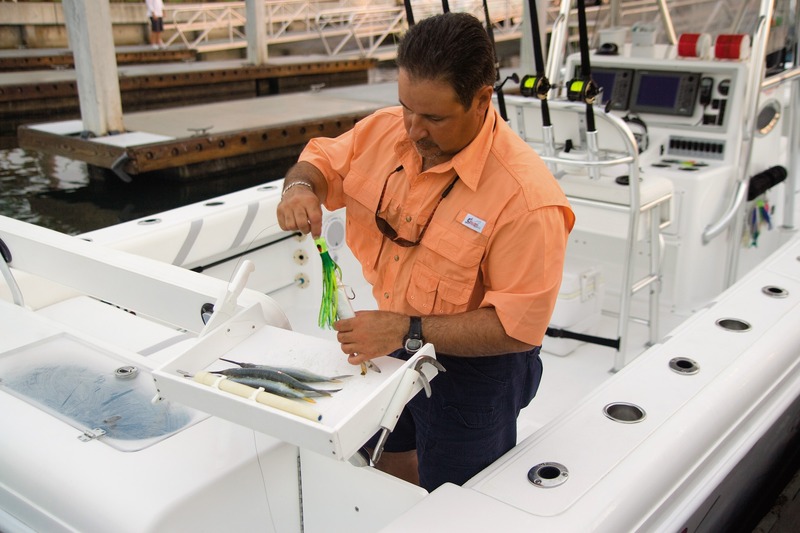 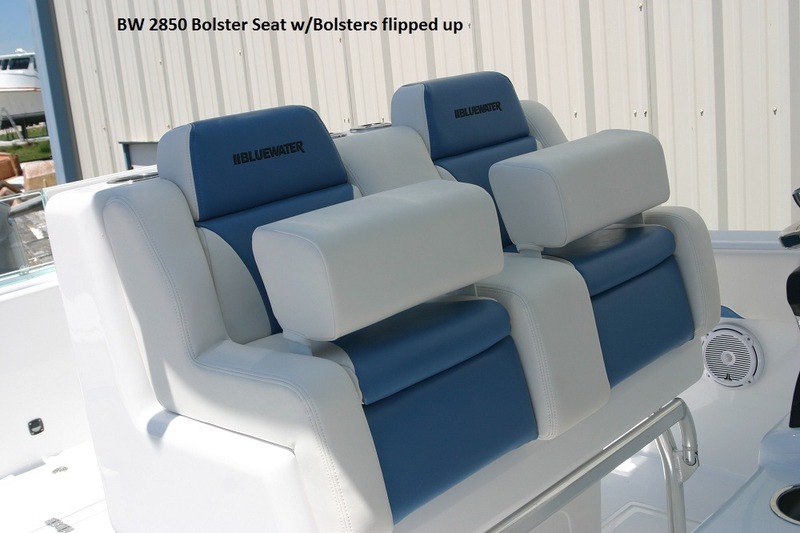 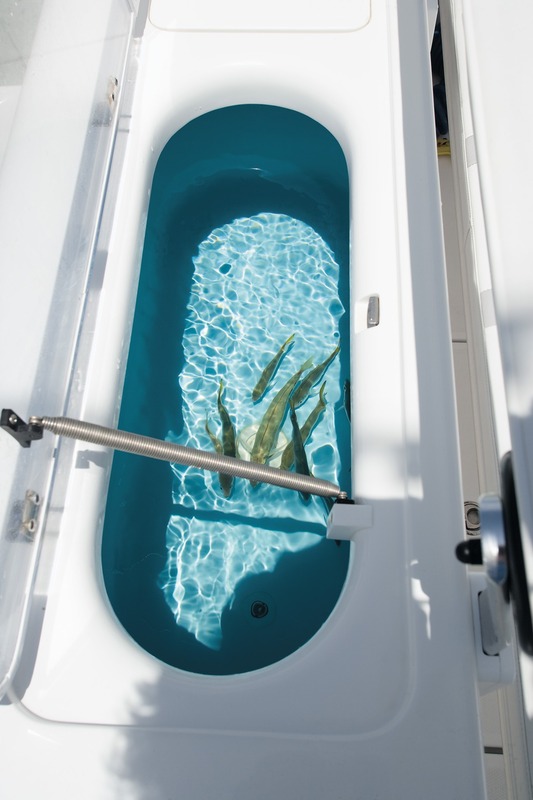 Bluewater 2850 – Bluewater Sportfishing Boats, Inc.
Bluewater’s 2850 Center Console is built strong for those who know the sea. 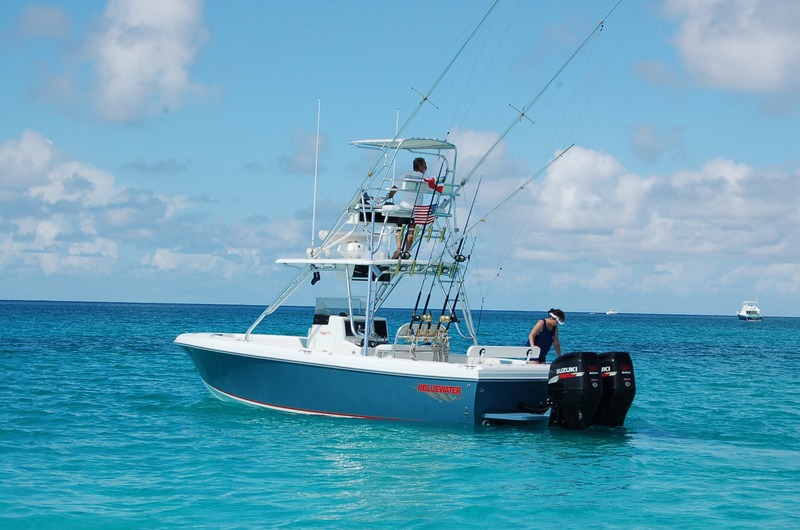 At 31’ overall, the 2850 thrives offshore and features a wide 9′ 5″ beam that makes her an exceptionally stable fishing platform even in the roughest conditions. 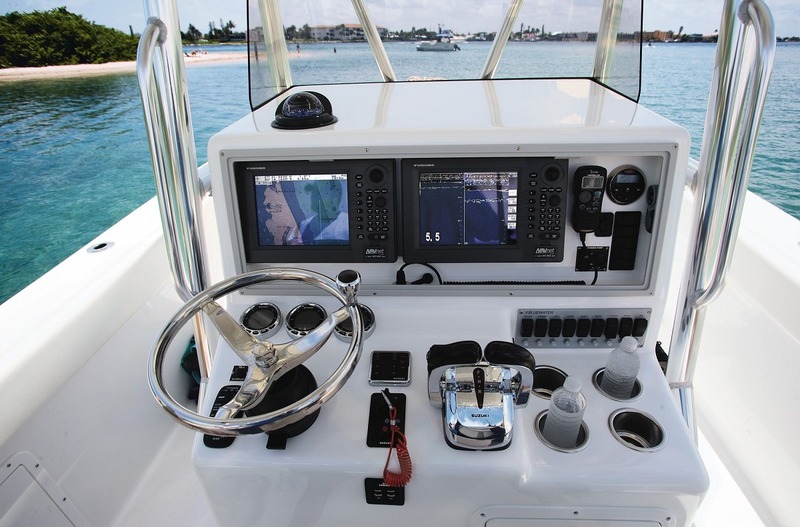 As with all of our boats cockpit space was a prime design criteria so the BW 2850 features a huge cockpit. 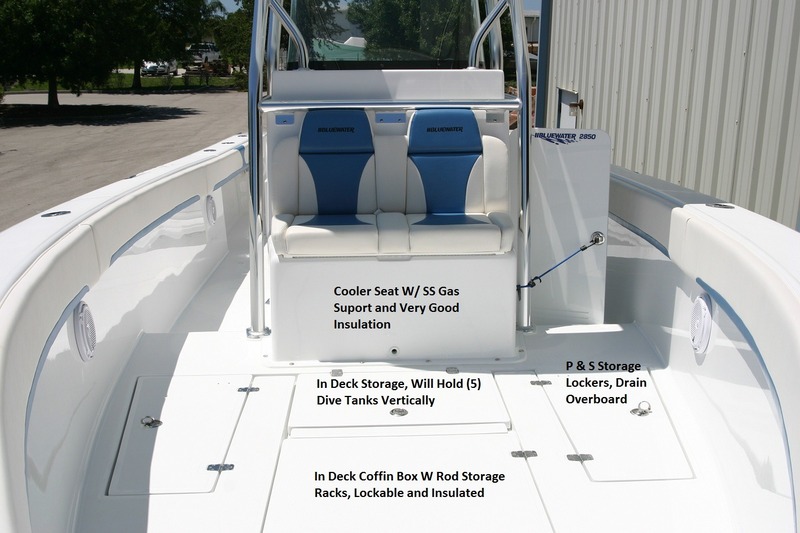 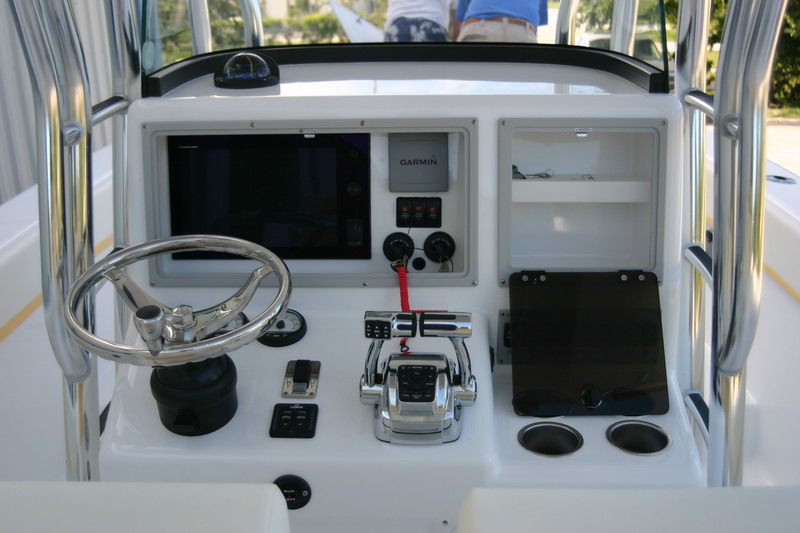 Innovative weight distribution permits the console to be placed further forward then other center console designs giving way to the largest aft cockpit of any boat in this class. 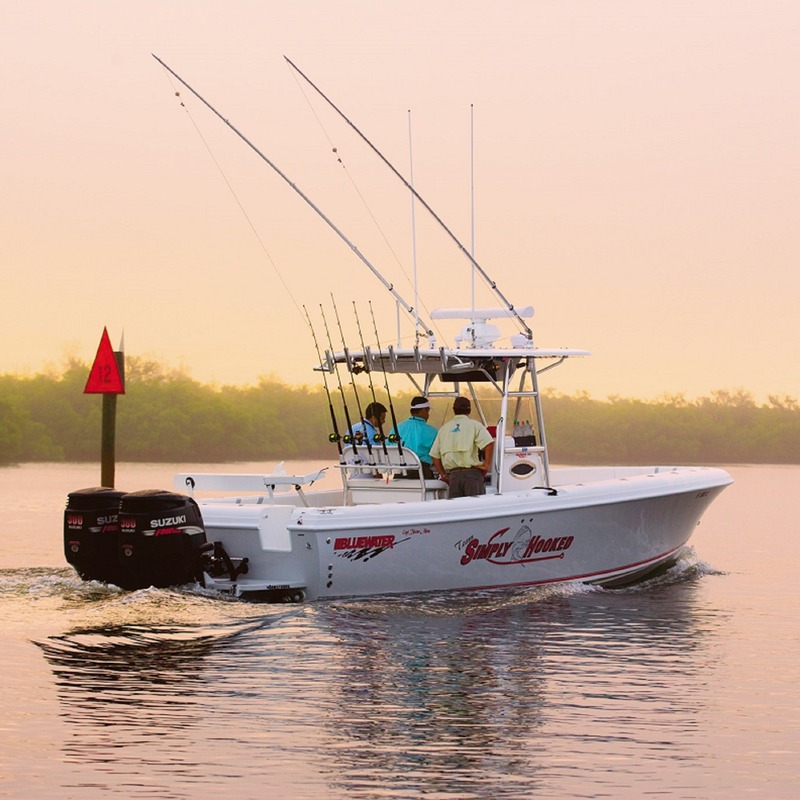 With a 24 degree deep vee hull, reverse chines and the safety of high gunnels, the Bluewater 2850 will get you out to the farthest fishing grounds and back quickly and comfortably in a proven flat, smooth, dry ride. 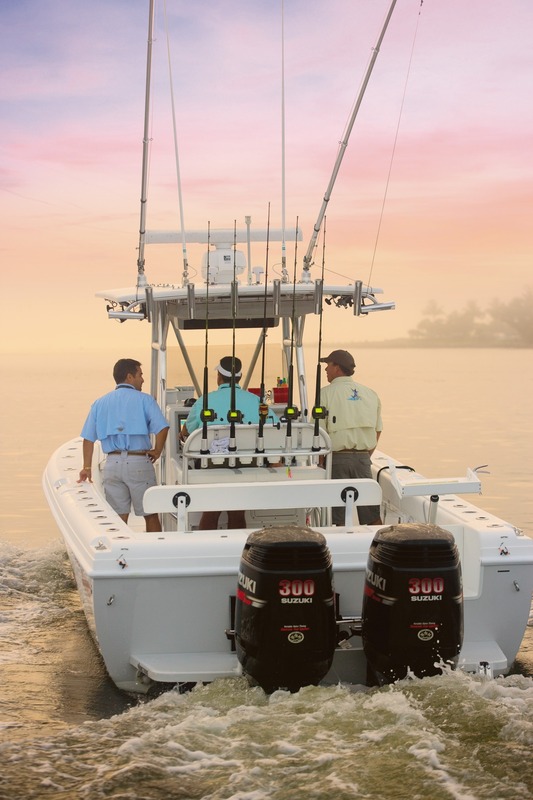 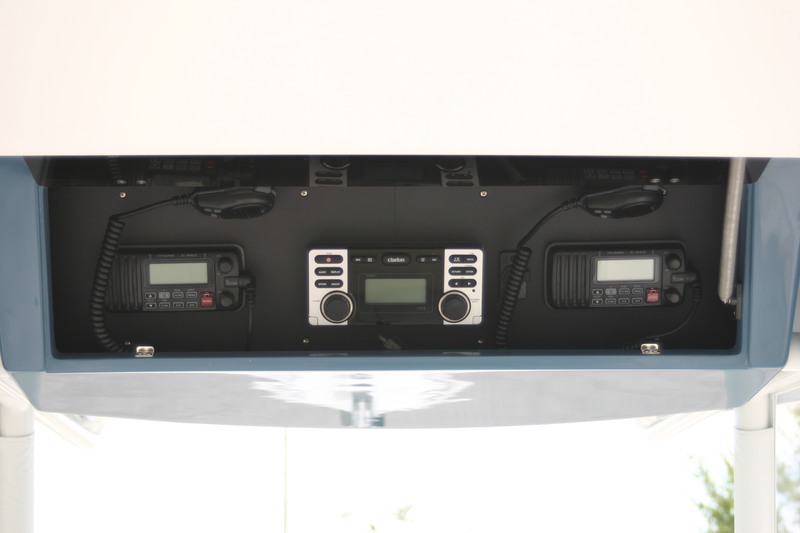 Along with great passenger and storage capacity, this boat is packed with all the features you are looking for in a serious offshore fishing machine and designed to make clean up fast and simple when you return from a great day on the water. 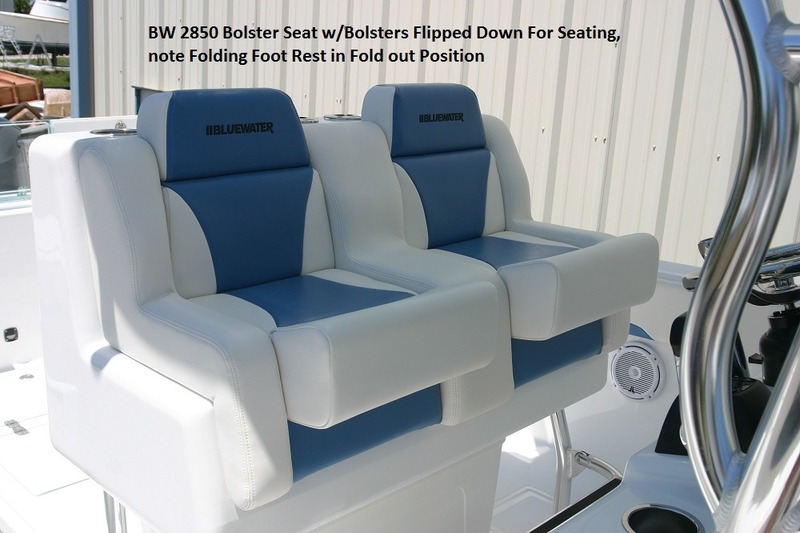 In addition, Bluewater offers you the ability to customize the boat to suit your style of boating so you can get exactly what you need and want. 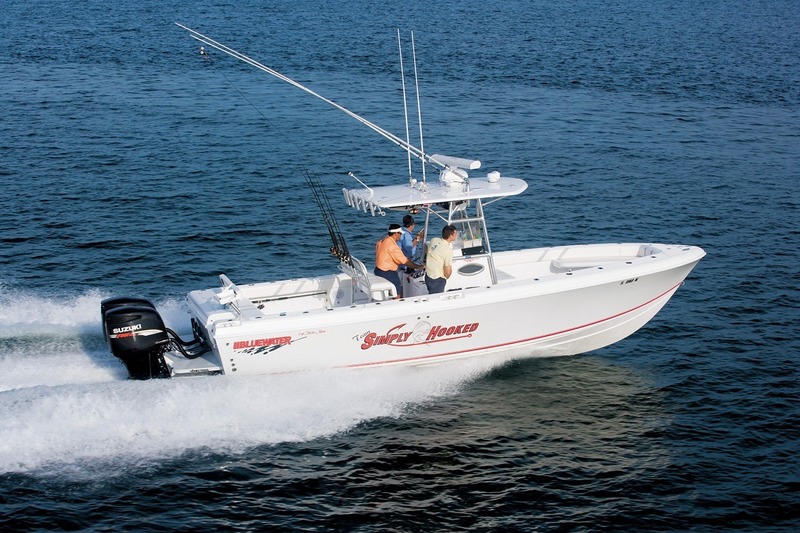 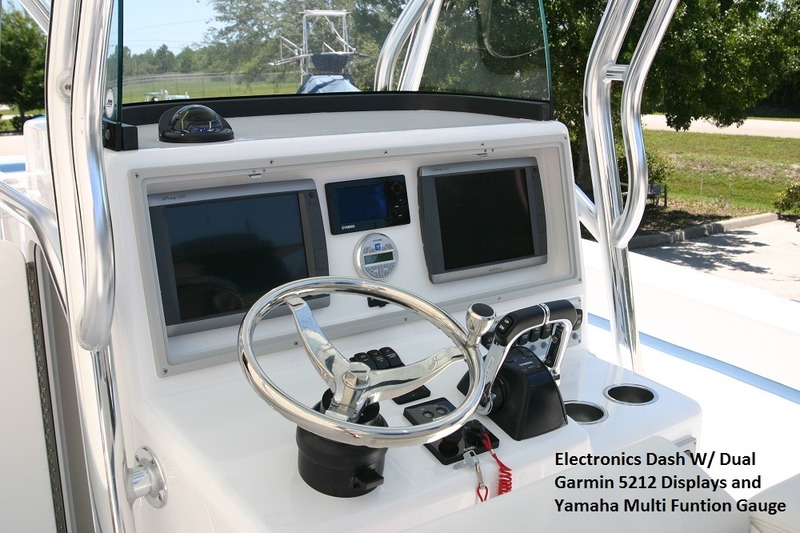 For fishing, diving or just cruising with the family, think of the 2850 as your first-class ticket to fun on the water. 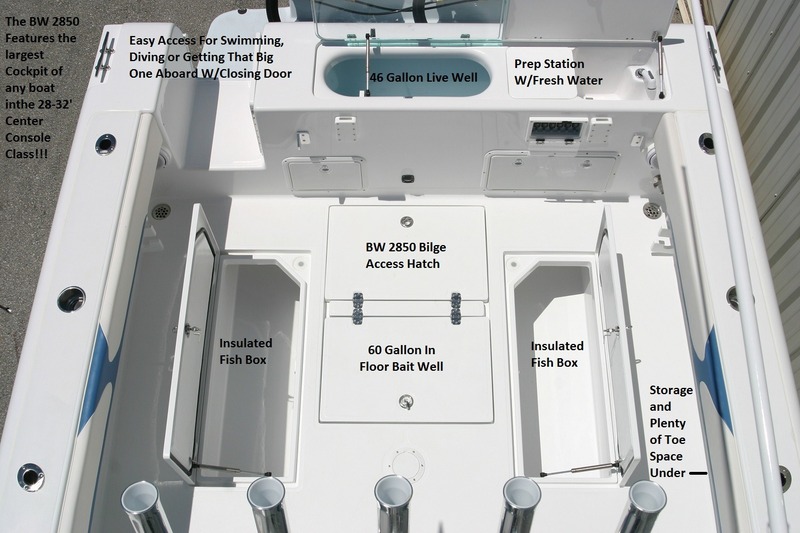 For a complete description, list of features and options download the PDF. 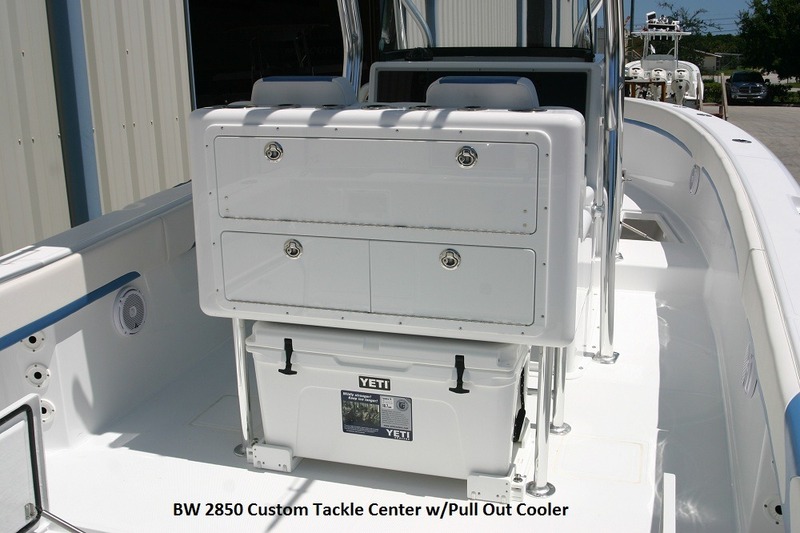 A sample of recent options installed on a BW 2850 featuring the new “Sport” style hard top and cushion package. 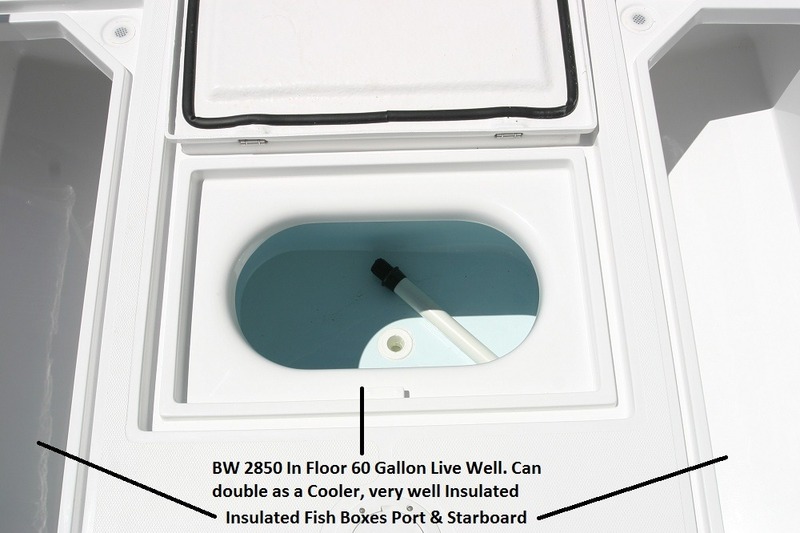 Click on an image below to see more details.